BioClosure System Assemblies, made from AdvantaFlex® biopharmaceutical grade TPE, provide a ready to use, cost effective solution to reduce assembly time and eliminate cleaning validations. 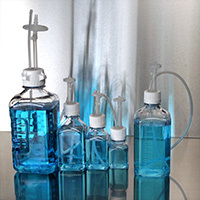 The Single-Use, closed cap system features a robust design to protect product integrity and decrease the risk of contamination. 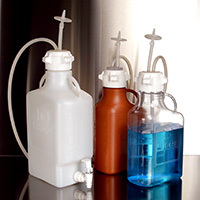 BioClosure System Assemblies are an ideal choice for bioprocessing applications such as aseptic sampling, cell growth and filling. 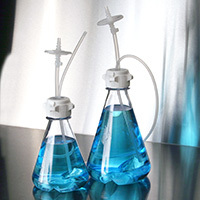 Full BPOG standardized extractables test protocol has been performed by a fully-accredited, third-party test lab; applies to AdvantaFlex closures and tubing only. Stoppers, caps, inserts for True Unions, GL45's and other styles, with or without tubing, are available. 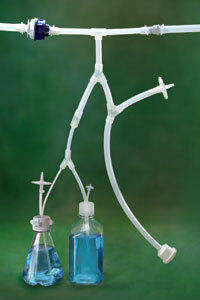 efficiency by incorporating Single-Use manifolds from AdvantaPure. 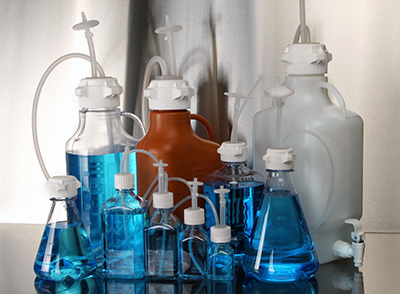 Single Use products simplify cleaning validations—use once and discard. 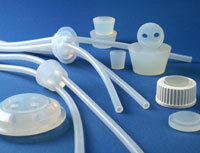 molded fittings, BioClosures, filters, bottles, labels and tracking options, and other components. Contact an AdvantaPure representative today to discuss your application.